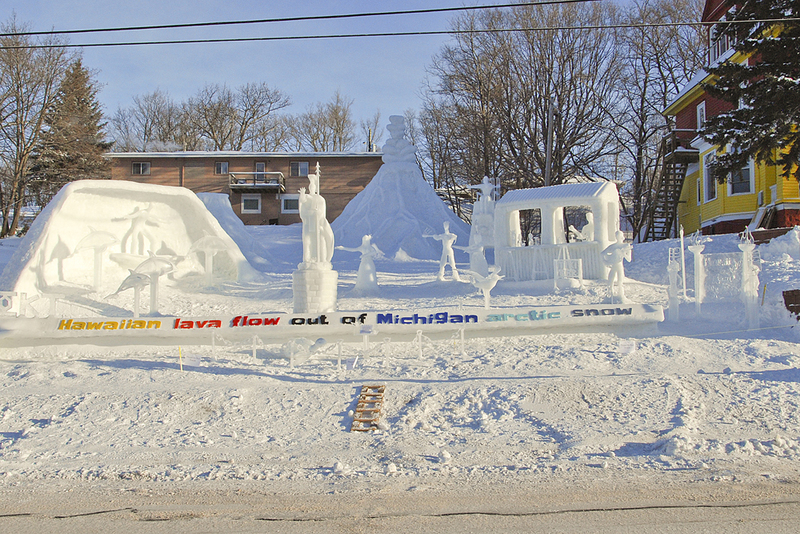 The MTU 2015 Winter Carnival is February 4th-7th, and perennial snow statue winner, Hancock’s Phi Kappa Tau, is already started on their interpretation of this year’s Carnival Theme: “WHILE FROZEN IN THE ICE AND SNOW, WE DREAM OF VACATIONS ON WHICH TO GO”. PKT has won First Place in the major build (month long build) category for the past three years. 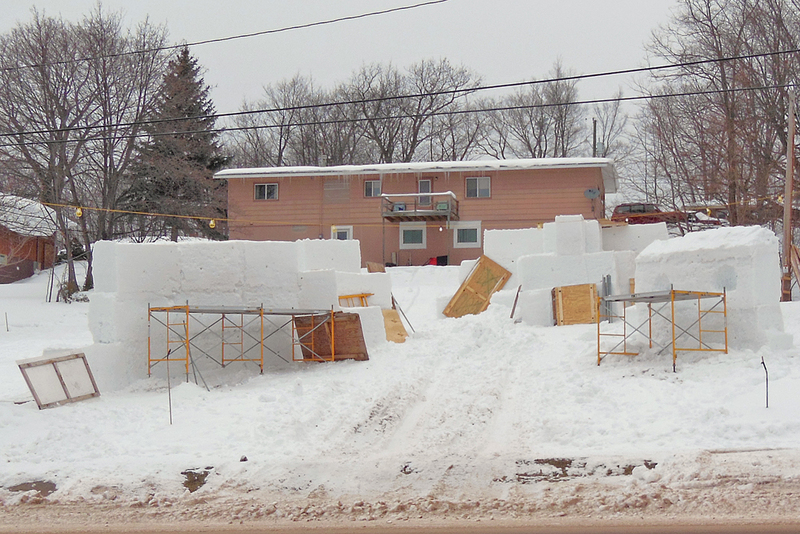 The main concern this year is to acquire as much clean snow as possible. And, on Statue Judging Day, Feb. 4th, the finished Statue. 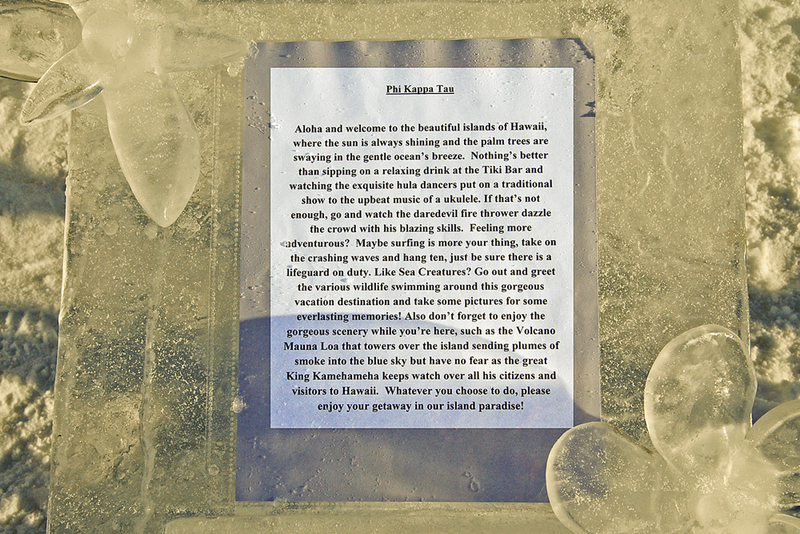 “Hawaiian Lava Flow Out of Michigan Arctic Snow”.UPDATE...PKT took Second place, losing First by only one tenth of a point. But they DID win overall First Place in the Fraternity Division. 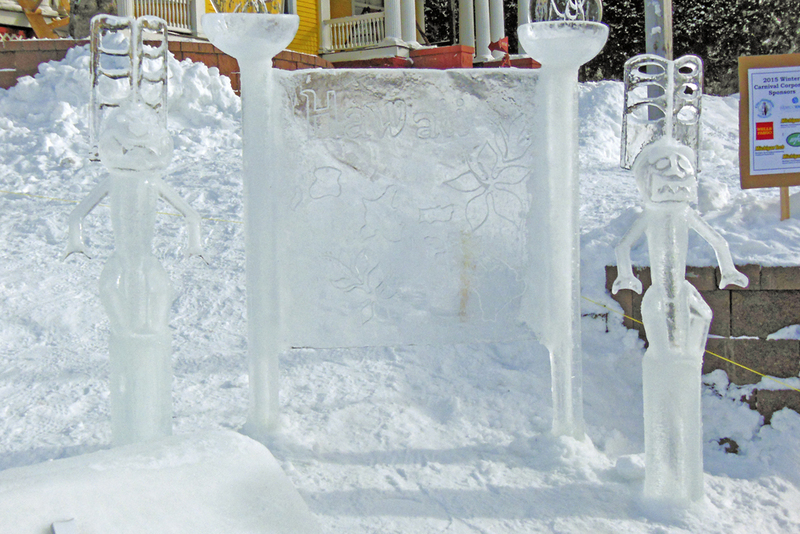 This beautiful ice carving is a part of the intricate work done on this Statue. This is the Descriptive Sheet in front of the Statue. Well done, fellows.